The contest in Arizona that as received the most attention is for the open Senate seat. After a single-term, Sen. Jeff Flake (R) is retiring. The frontrunner for this race is Rep. Martha McSally, who represents the Tucson-area AZ-02. McSally is generally considered a mainstream conservative, and has held her House seat since 2014. Also running are two more Trump-ish candidates: ex-State Sen. Kelli Ward and ex-sheriff Joe Arpaio. Both would be considerably less electable than McSally in the fall against Rep. Kyrsten Sinema (the likely Democratic nominee). 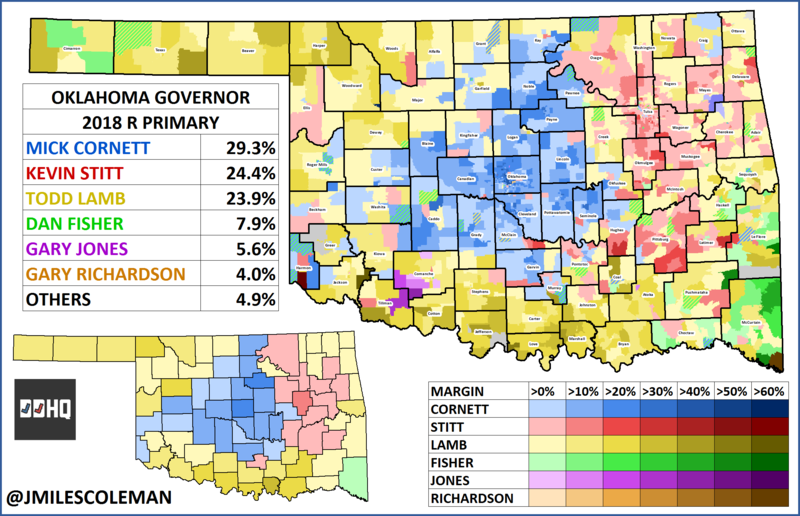 As far as other statewide races, both sides have primaries for Governor. On the GOP side, Gov. Doug Ducey has a challenge from ex-SOS Ken Bennett. This is actually something of a rematch of 2014, when both ran in a crowded open primary. Ducey finished a clear first, with 37%, while Bennett placed fourth, with just 11%. Overall, there doesn’t seem to be much of an appetite among Republicans to replace Ducey, so he should win the primary fairly comfortably. 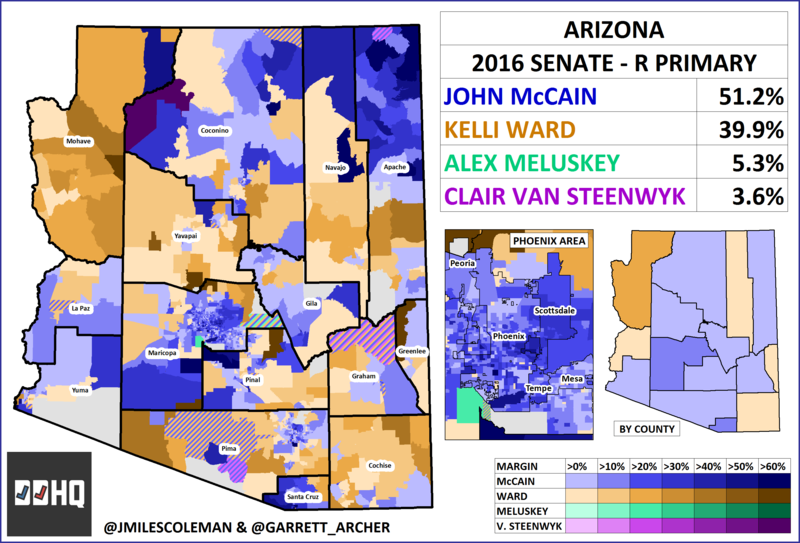 The most interesting House primary is in AZ-02, the seat Rep. McSally is vacating to run for Senate. Seven Democrats are running for this seat, but the two main candidates are 2014 nominee Matt Heinz and former Representative Ann Kirkpatrick. Kirkpatrick previously represented AZ-01, just north of the district, for three terms before unsuccessfully running for Senate in 2016. 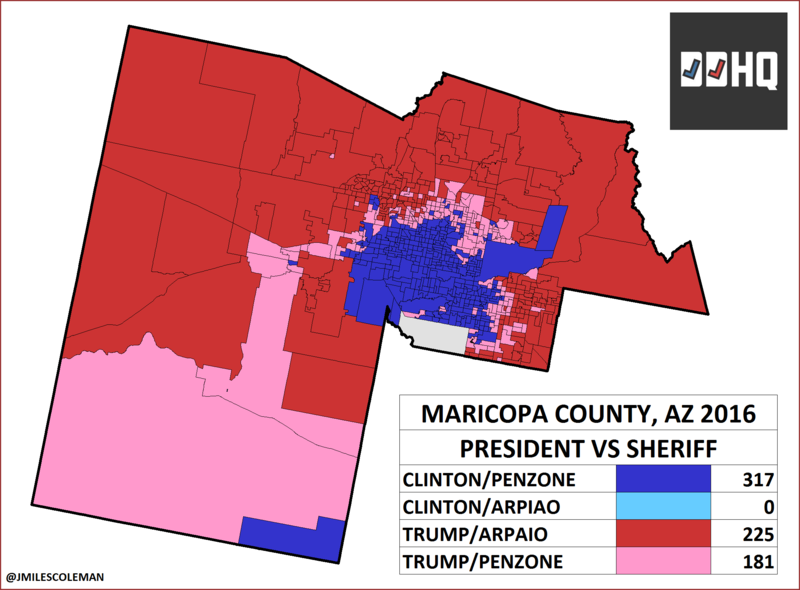 While this could be considered ‘carpetbagging’, Kirkpatrick did represent parts of Pima County in her old district. Heinz is making his third run at this seat, and previously served in the legislature. Polling since the runoff has shown a very close race; it seems to be largely a question of how the rural areas, that voted for Lt. Gov. Todd Lamb, break. In the general election, Cornett typically posts slight leads over the Democratic nominee, Drew Edmondson, while Stitt is somewhat behind.